Retail Hero RMS Lite software allows you to add temporary lanes to your existing Microsoft RMS installation. Connecting directly to your RMS server, RMS Lite is ideal for temporary checkstands, trade shows, line busting, or any situation where you need coverage but can´t justify a full RMS license. 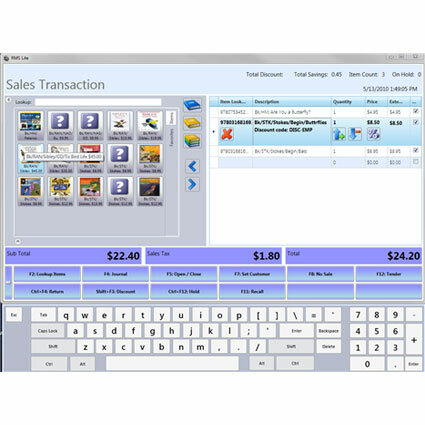 Retail Hero designed RMS Lite to match Microsoft RMS closely, ensuring employees can transition to RMS Lite with no loss in productivity. 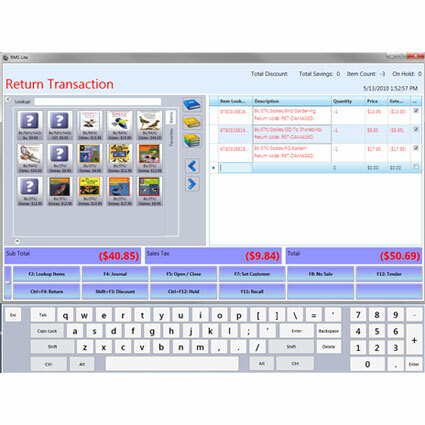 General day-to-day functionality is available in RMS Lite, including as customer lookup, discounting, digital payment processing, and more. Off-site mode allows you to take inventory off-site, perform sales, then resync the inventory when you return, fantastic for trade shows or any other on-the-road sales. In addition to the affordable initial price, RMS Lite doesn´t require an active service plan, helping keep costs down. The software comes with lifetime access to product fixes, downloads, and minor version upgrades, keeping your software running at peak efficiency throughout its life.